We have divided the case study into the following categories. 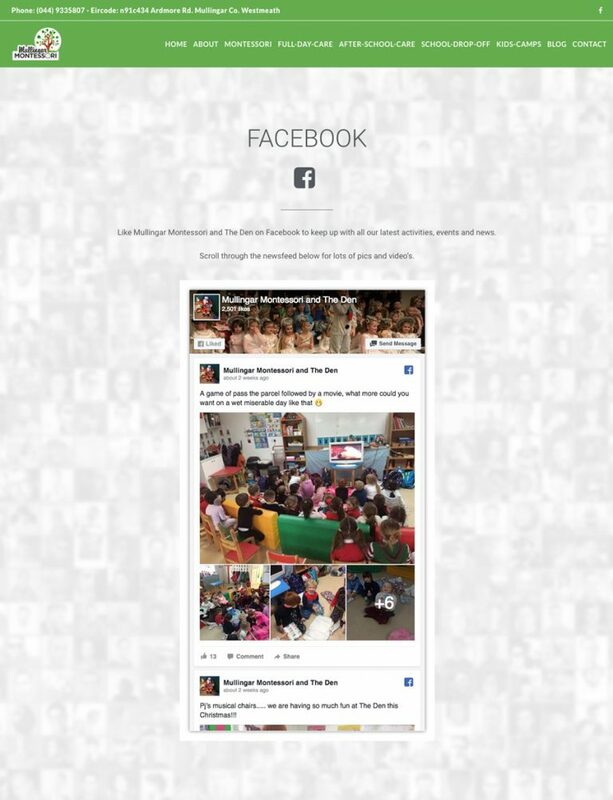 Scroll down to view all, or click any button to jump to that section. 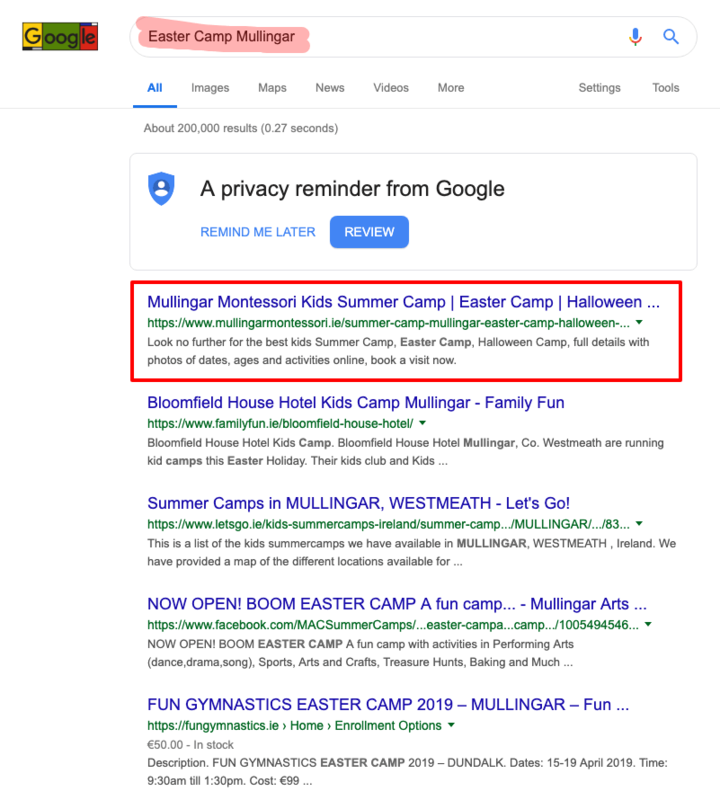 Scroll down to view all, or click any heading to jump to that section. 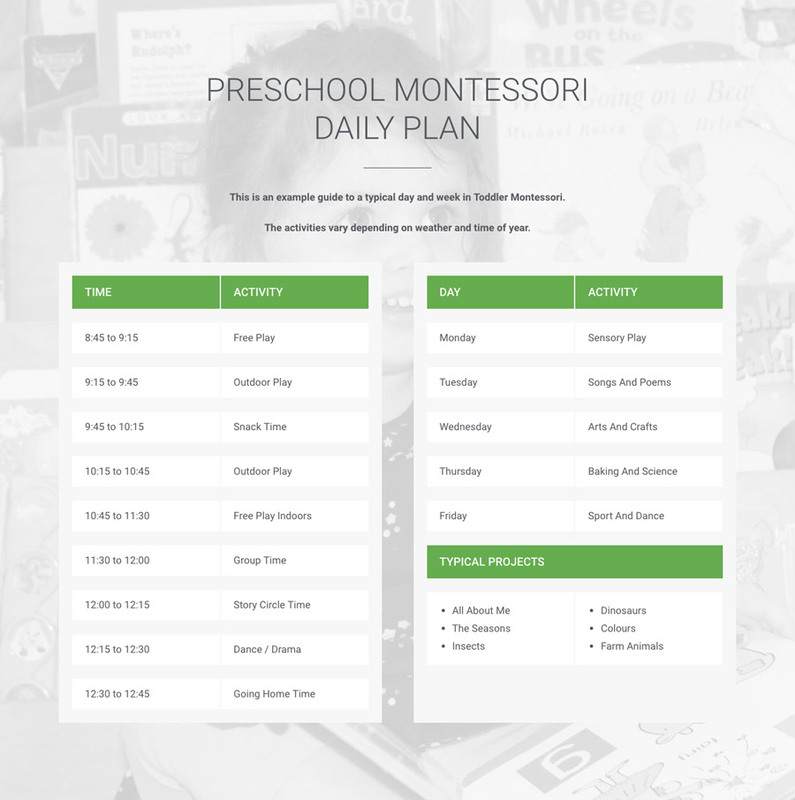 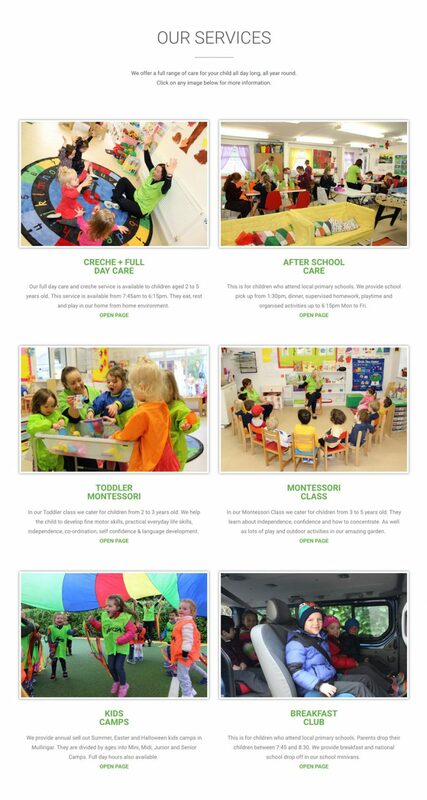 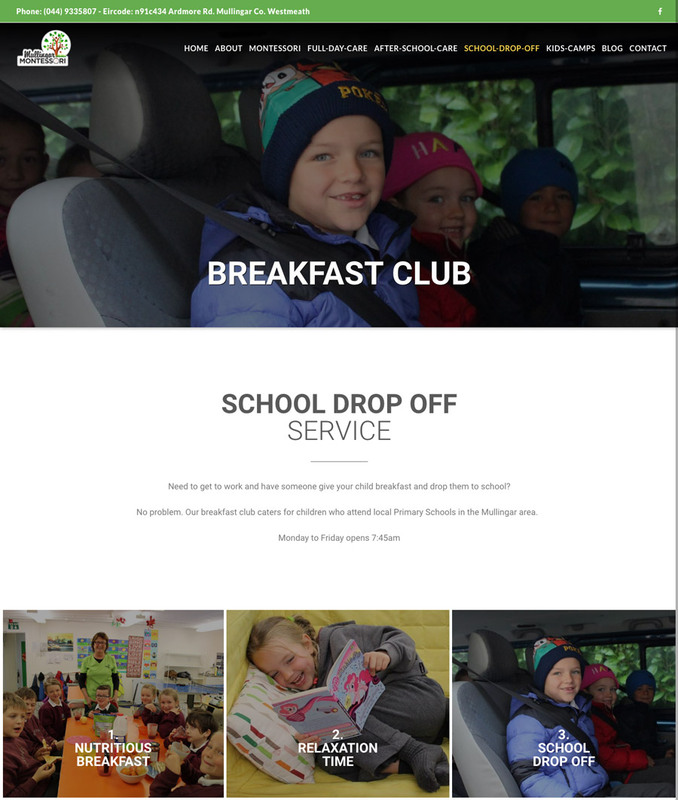 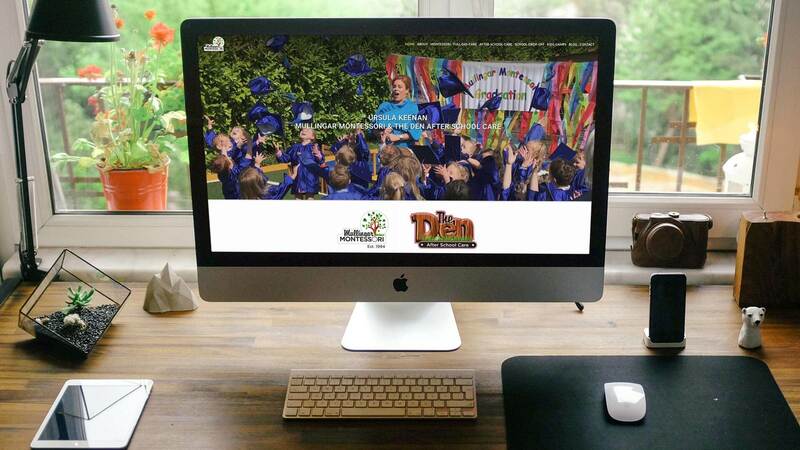 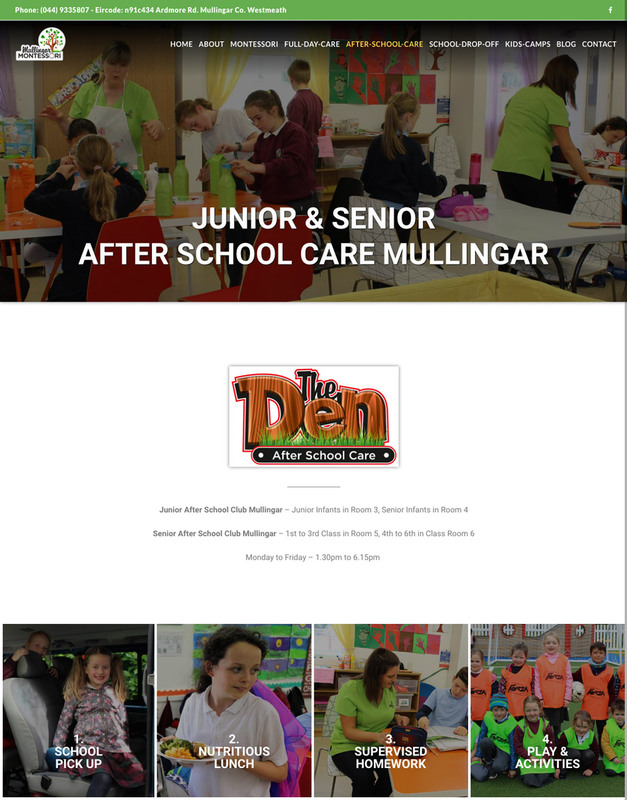 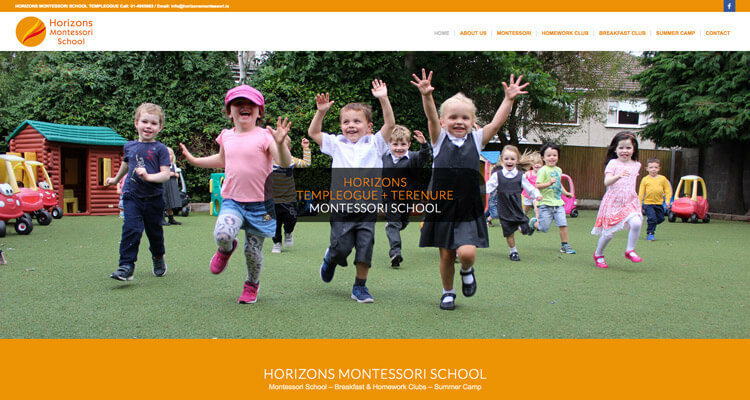 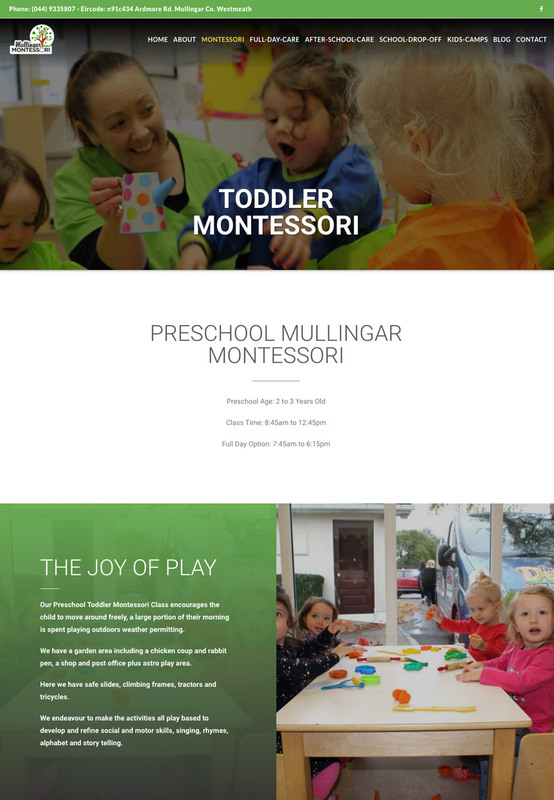 An industry leading early learning centre for Montessori, Full Day Care, After School Club and Kids Camps. 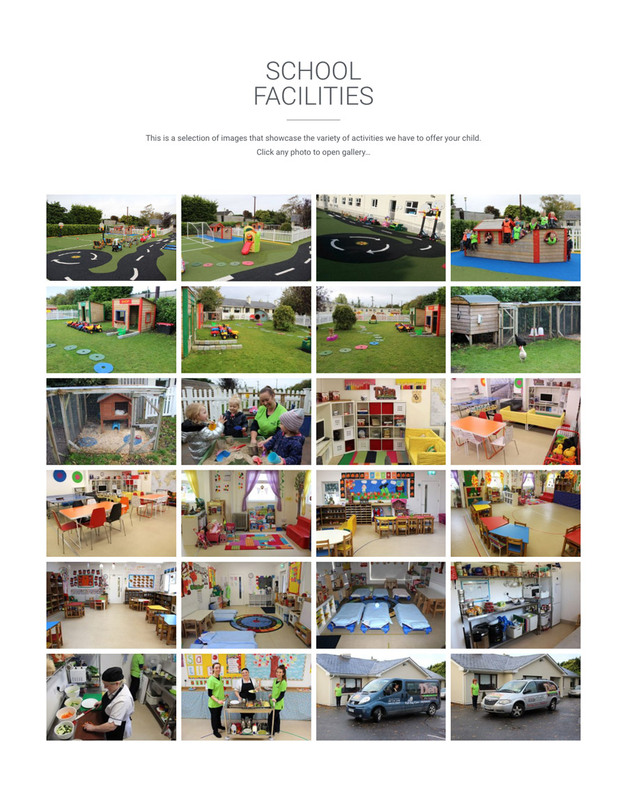 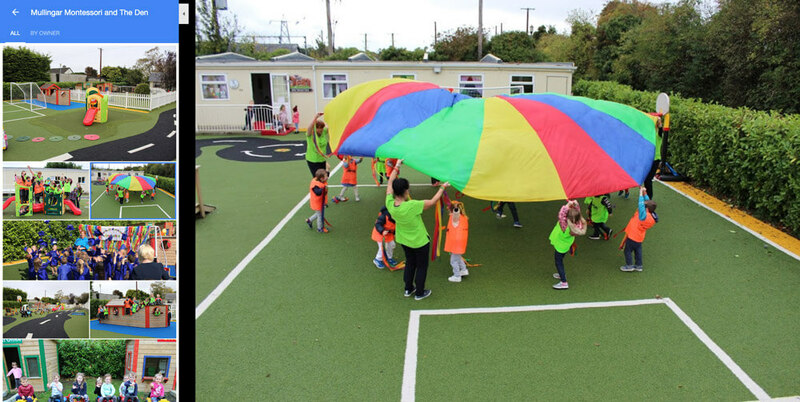 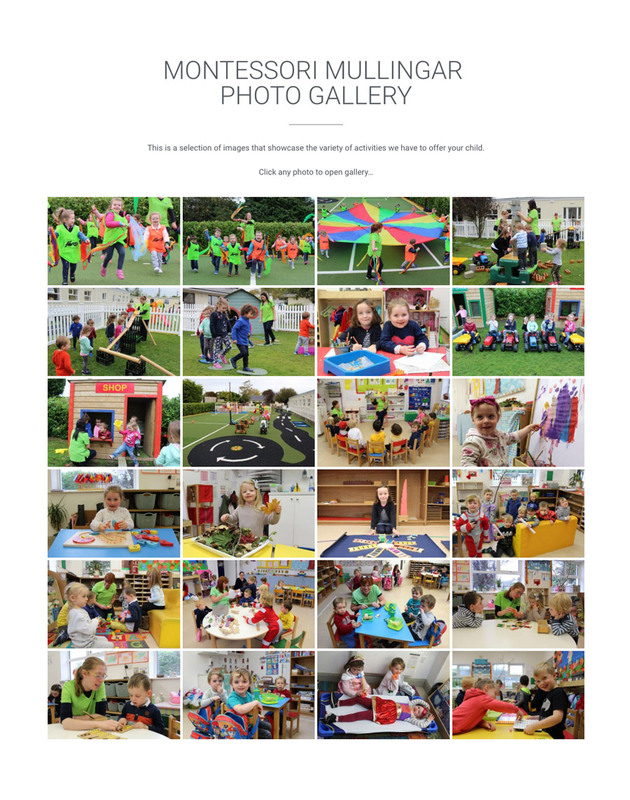 The school is a purpose built facility incorporating six classrooms, astro and grass play area’s plus school collection and drop off services. On each page this booking form section appears after the main content. 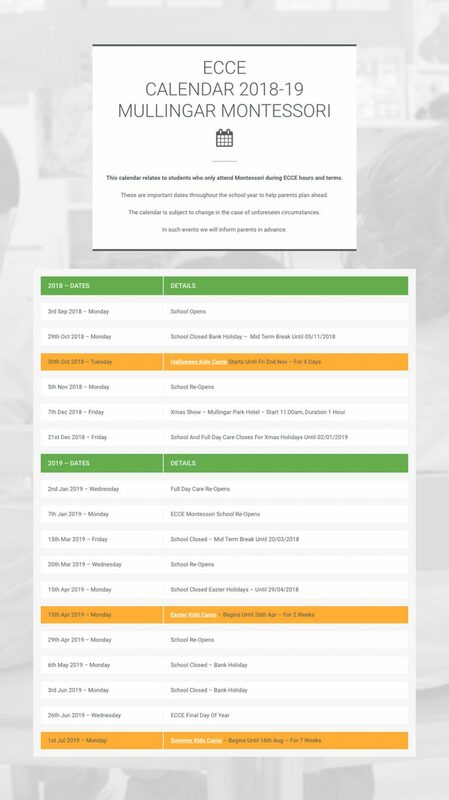 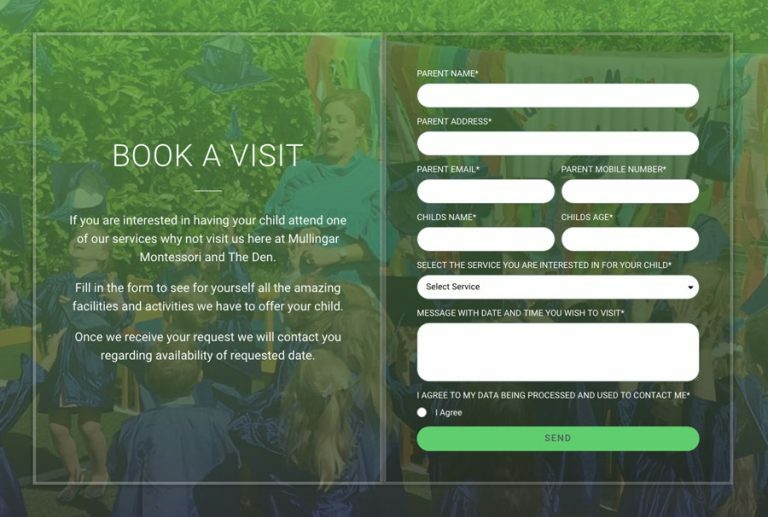 It calls on prospective parents to book a visit to the school. 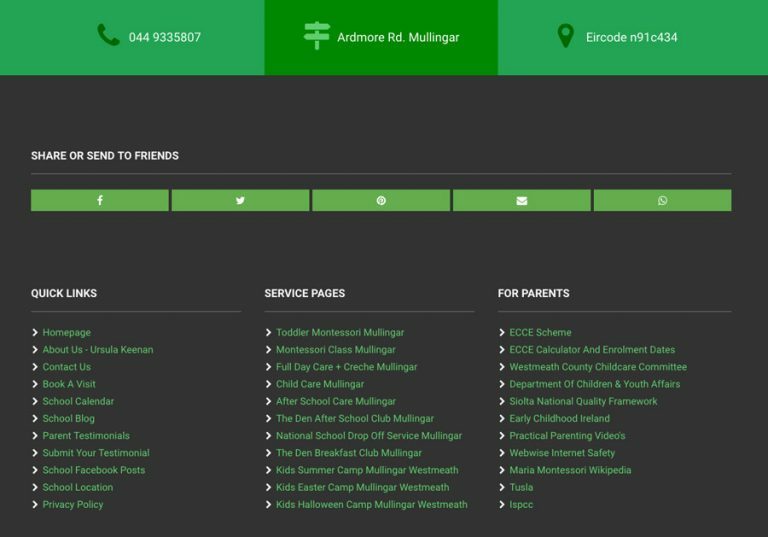 service interested in and finally a preferred date and time. It then generates an email to the school with all the details. 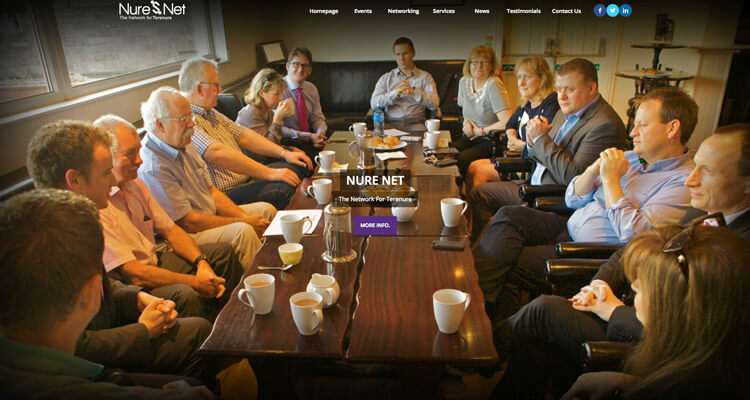 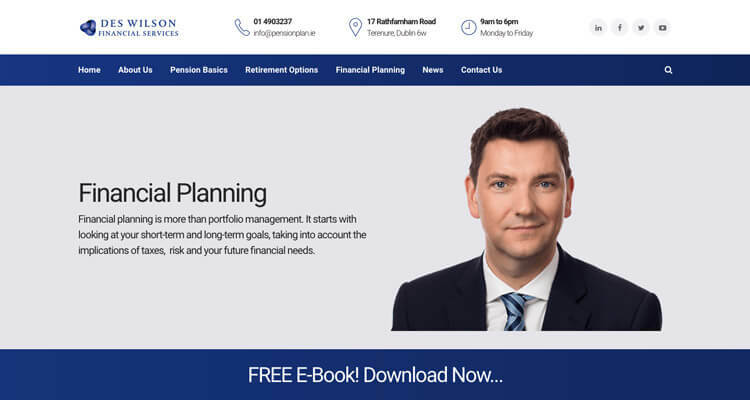 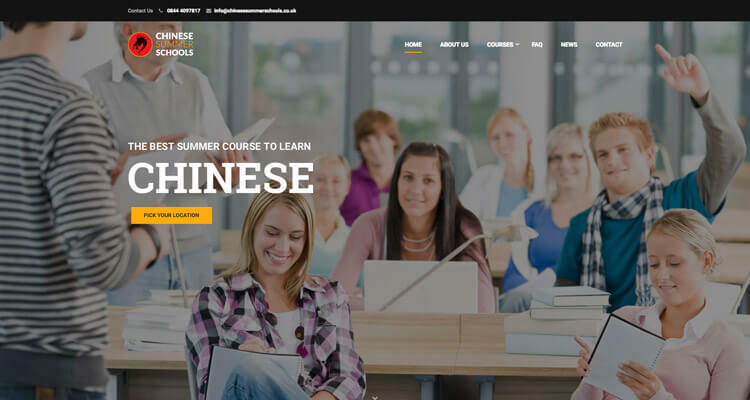 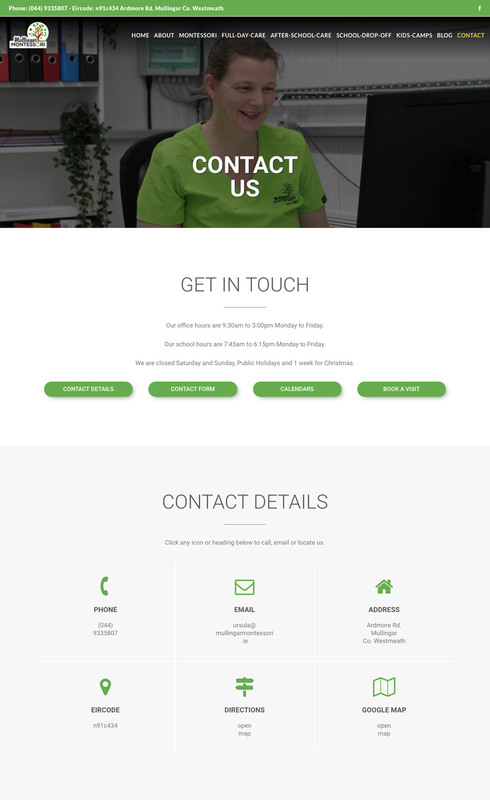 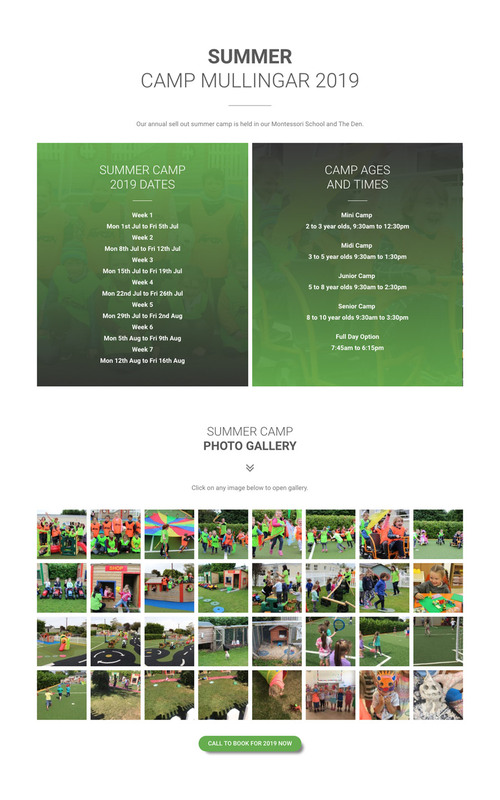 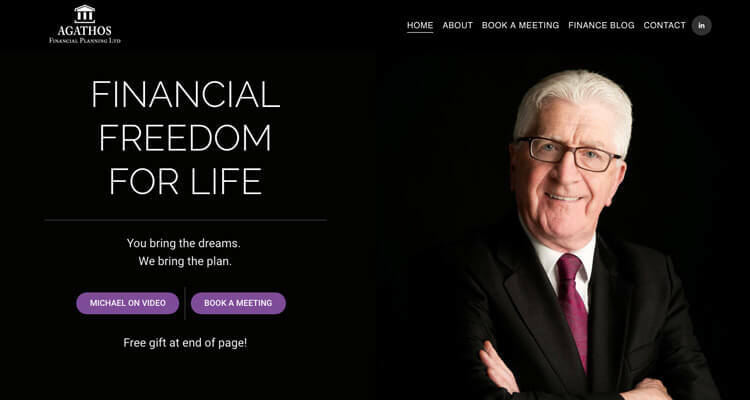 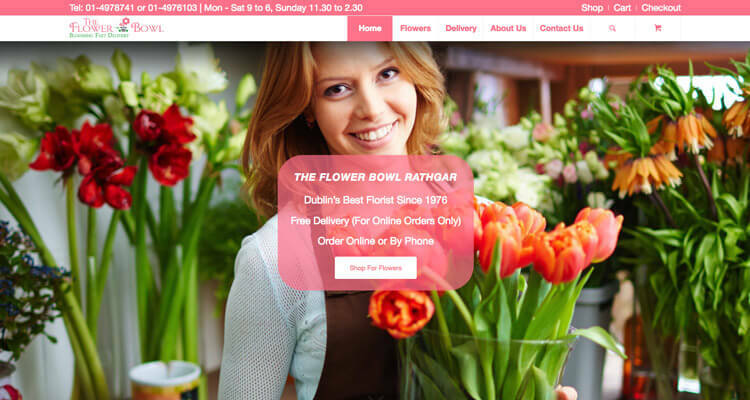 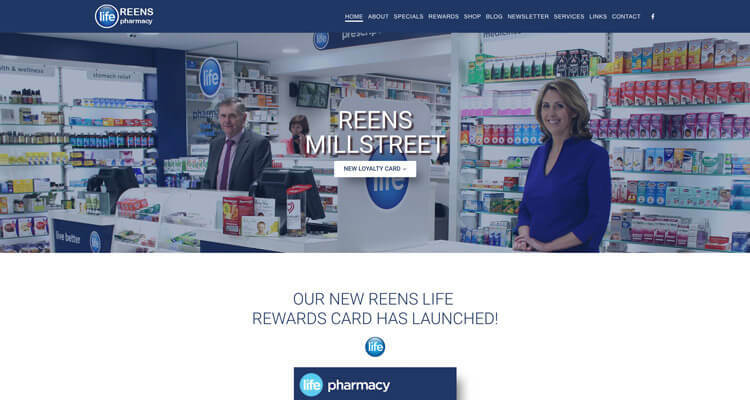 Here we have complied some screenshots of the website design. 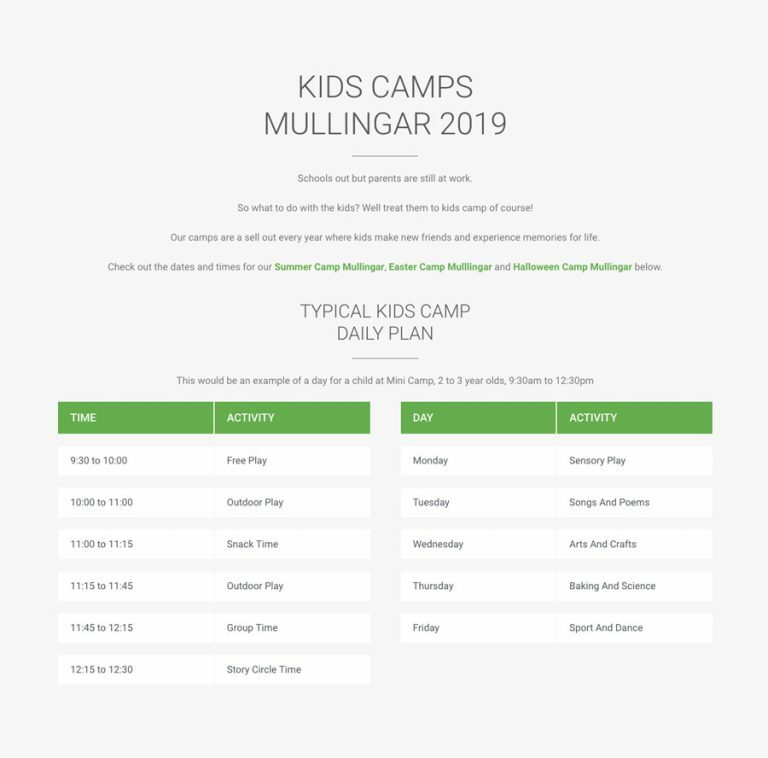 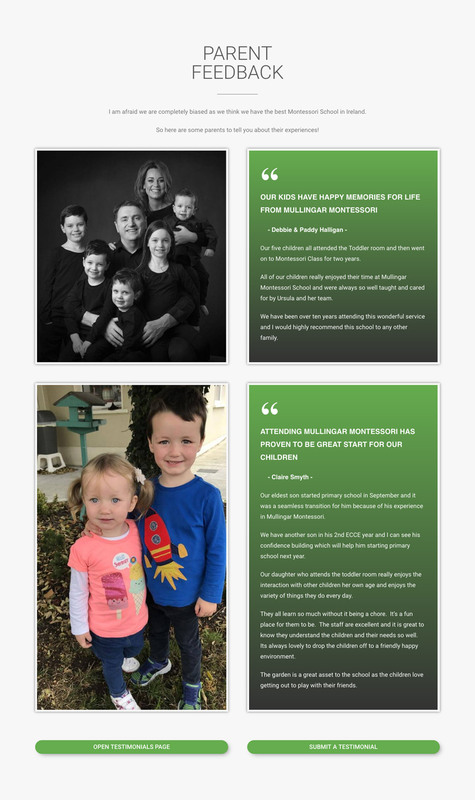 These are the mullingarmontessori.ie website visitor statistics for the first four months after launch. 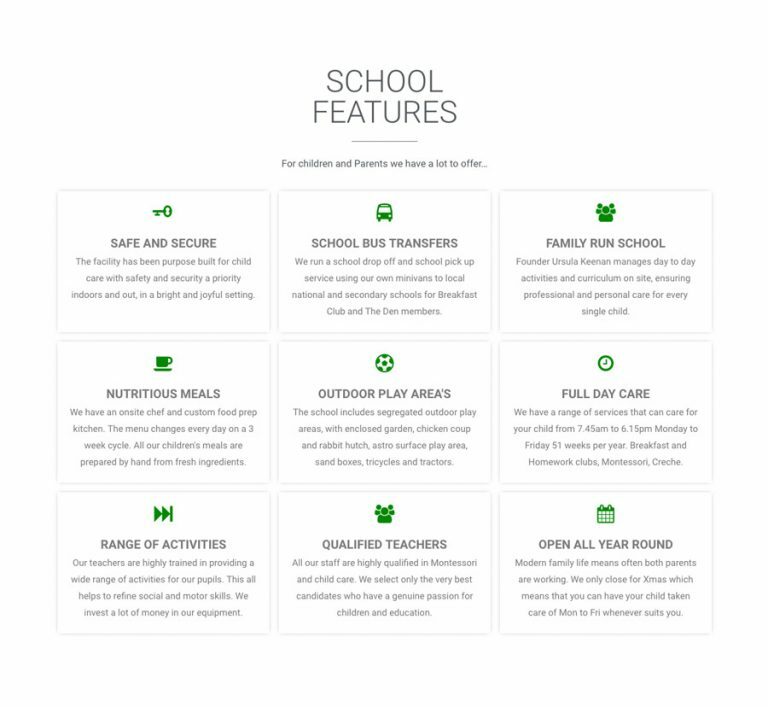 These statistics are gathered from Google Analytics which is installed on the site. 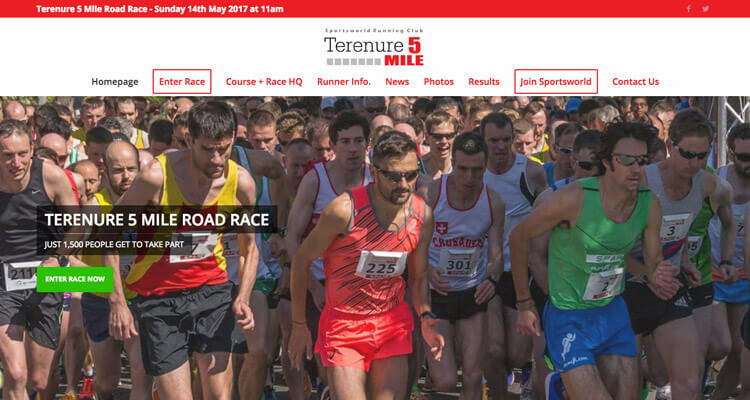 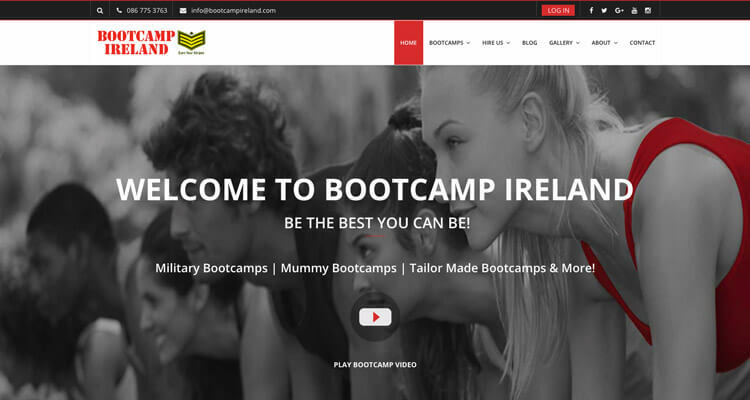 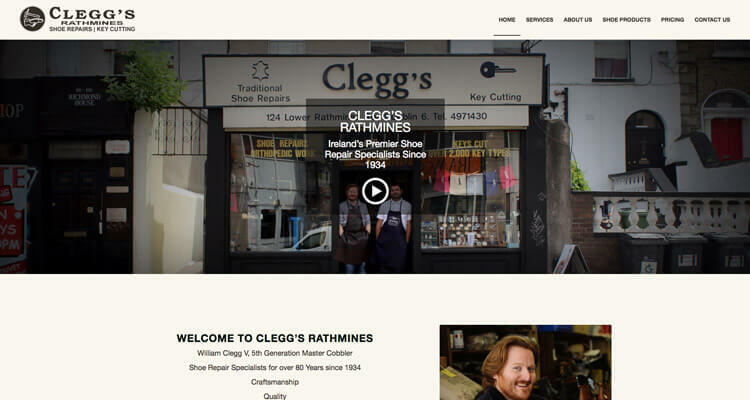 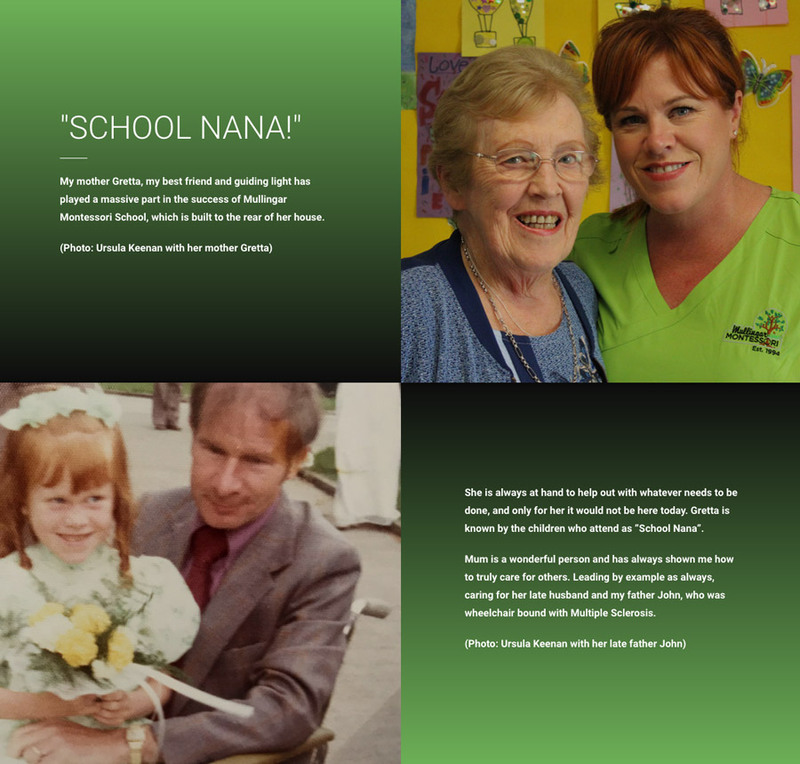 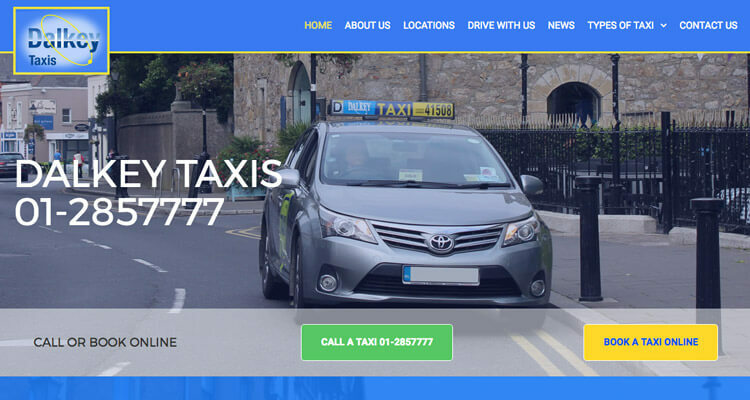 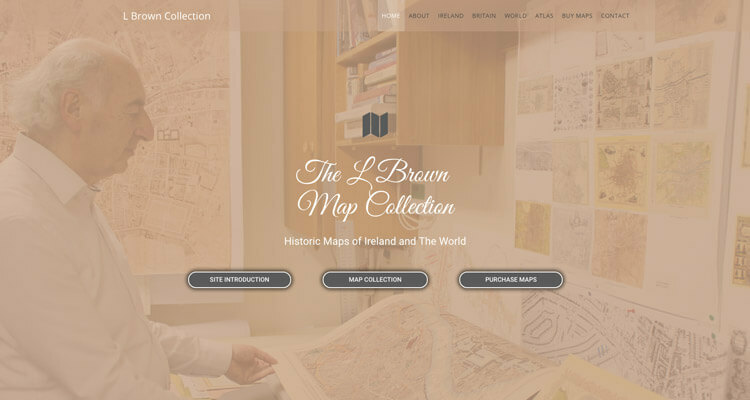 The numbers are taken from visits to the website from Ireland only. 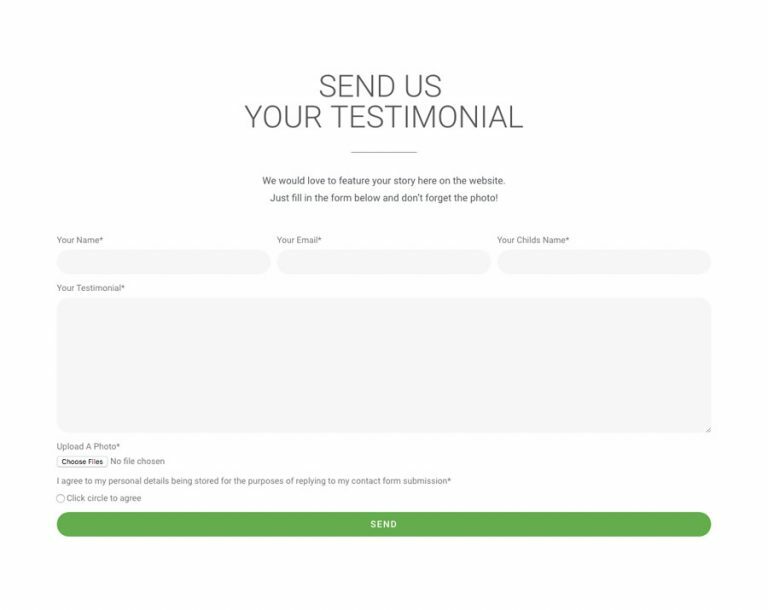 The client receives these reports monthly by email. 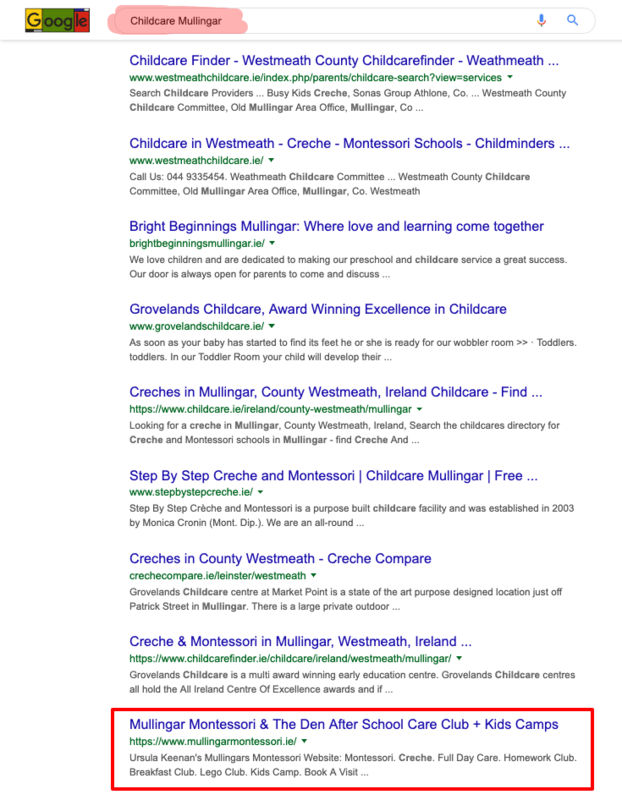 Results for a full year would be around three times the above or below numbers. 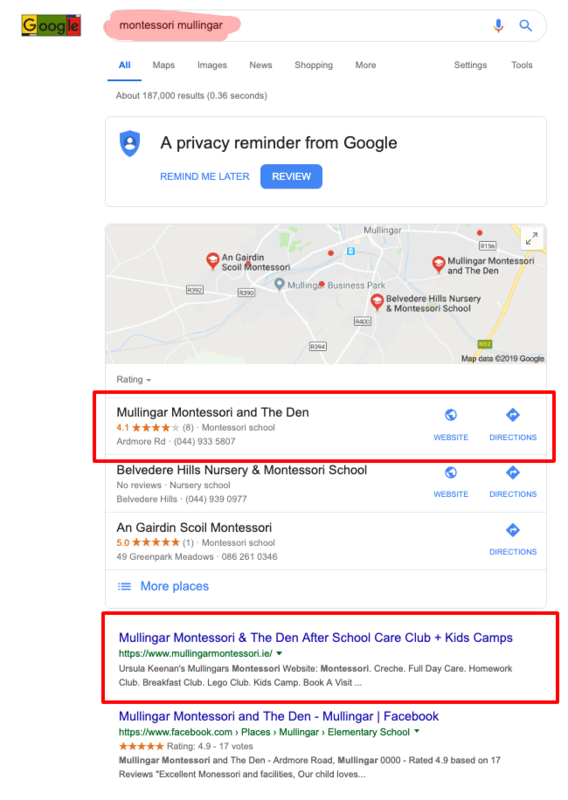 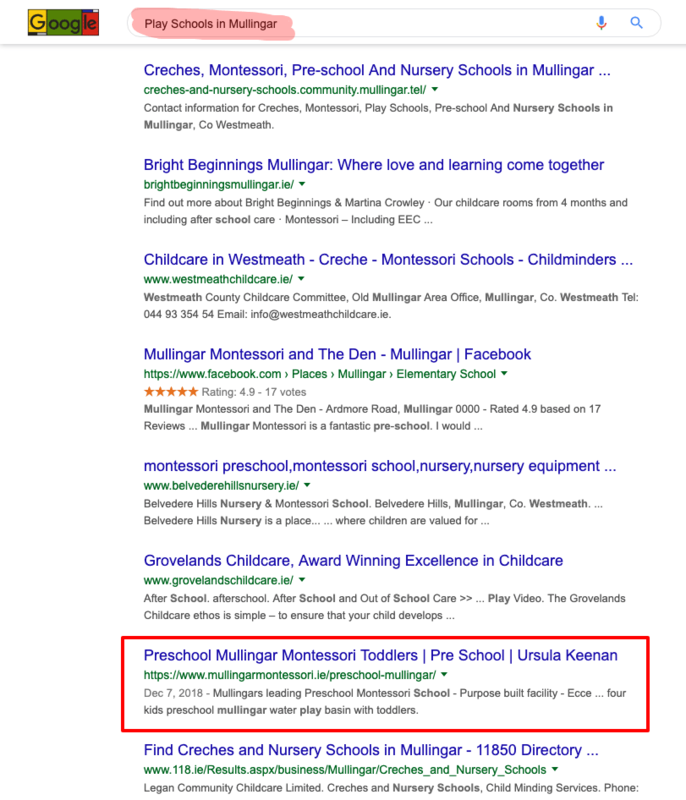 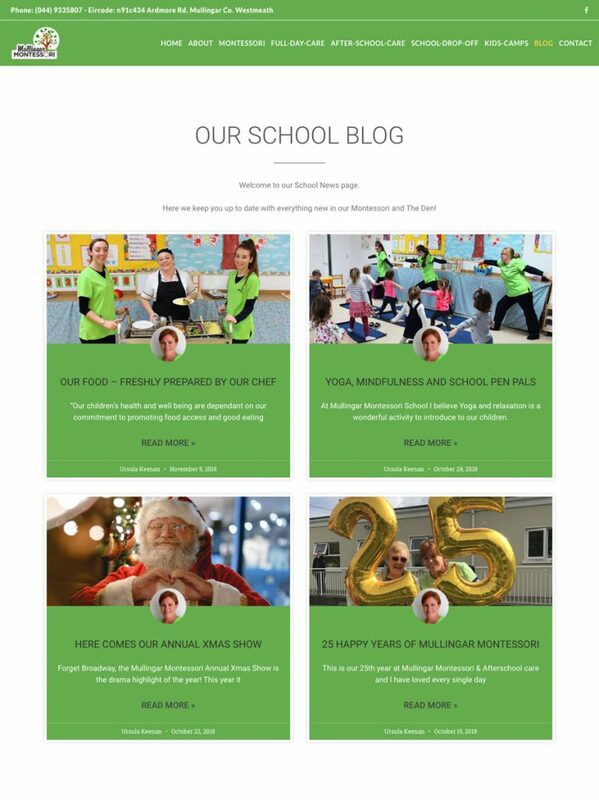 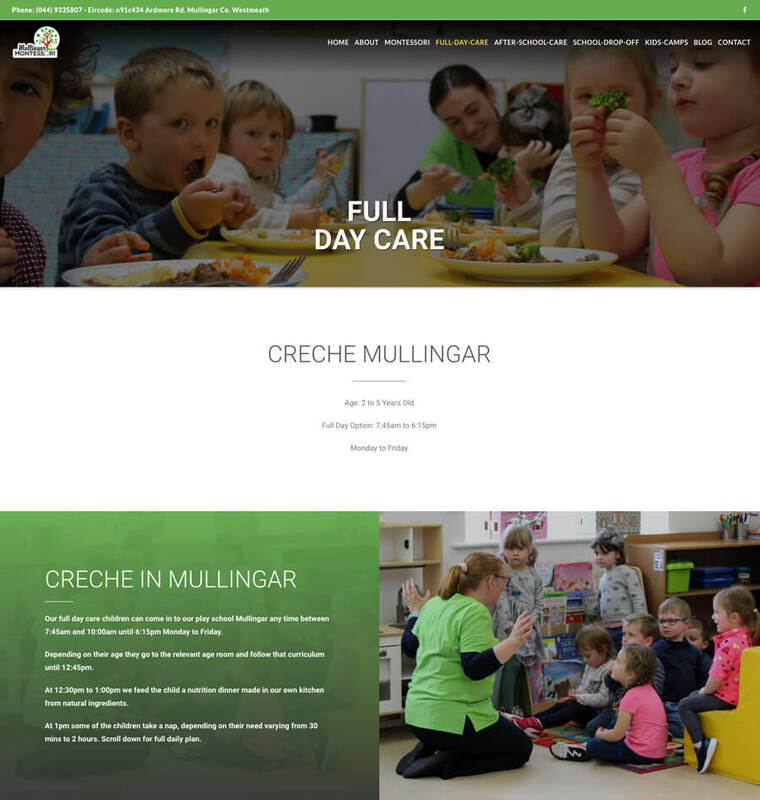 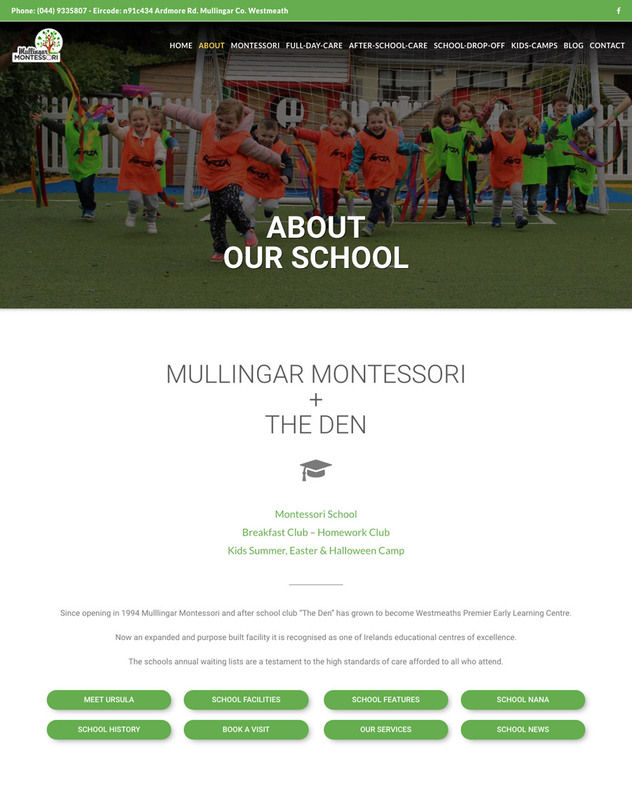 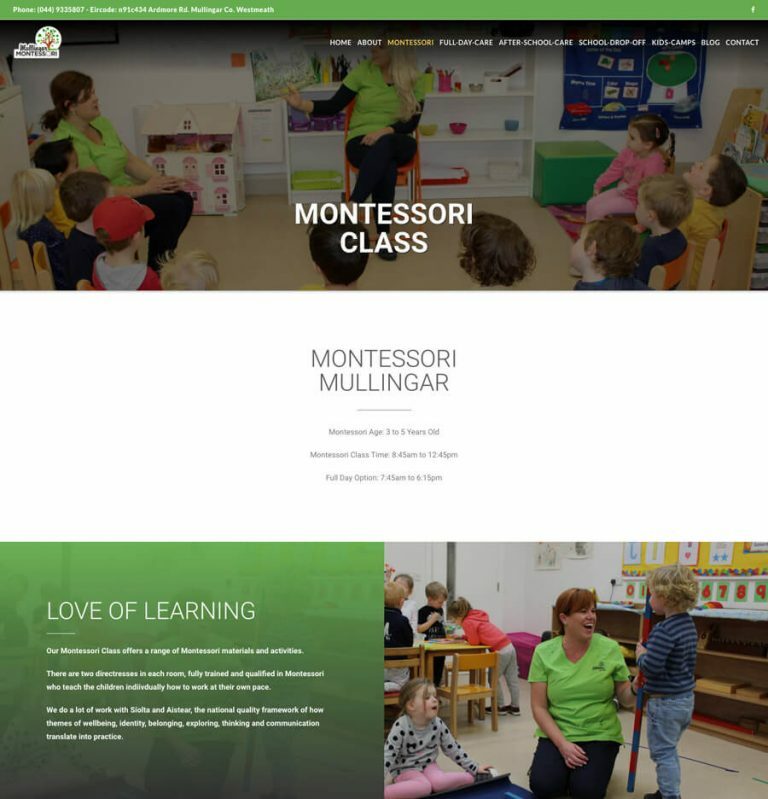 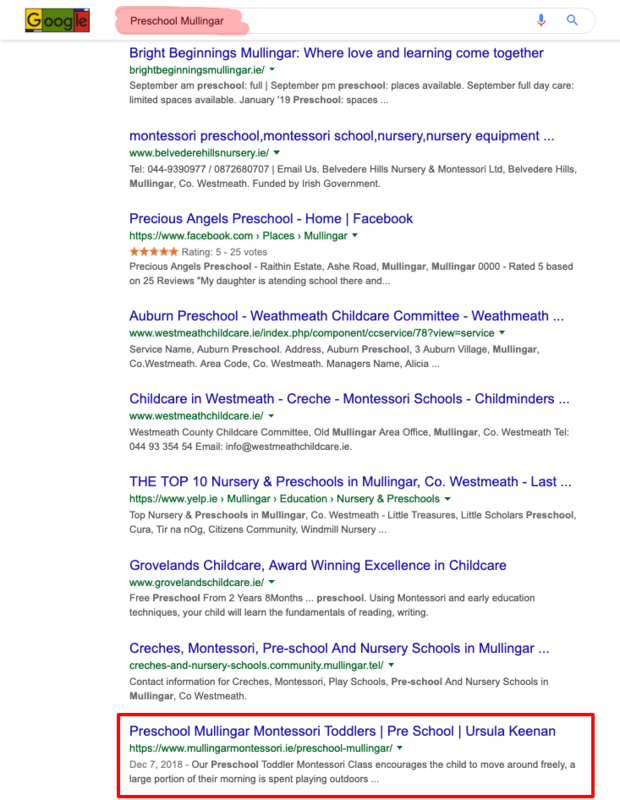 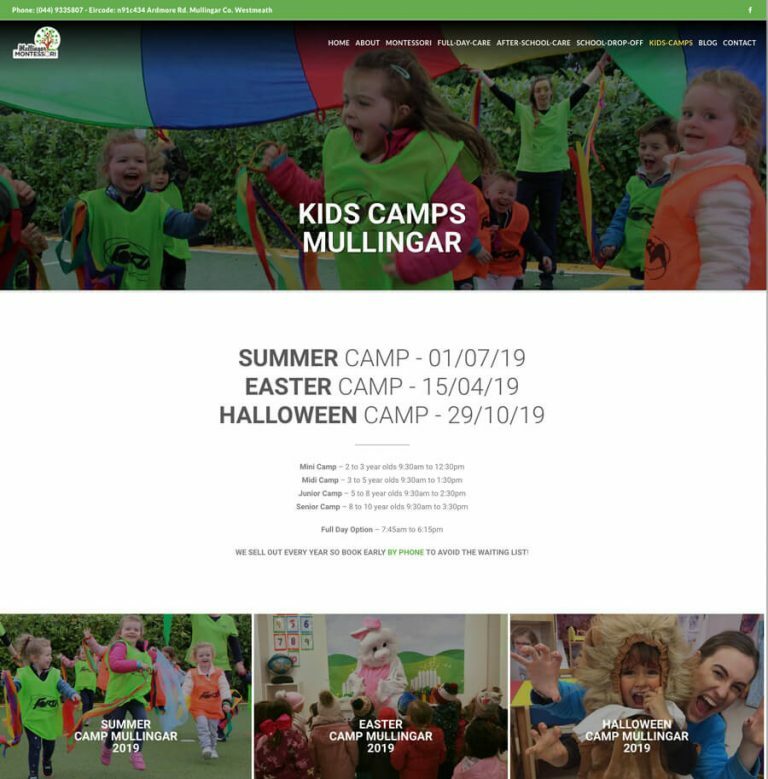 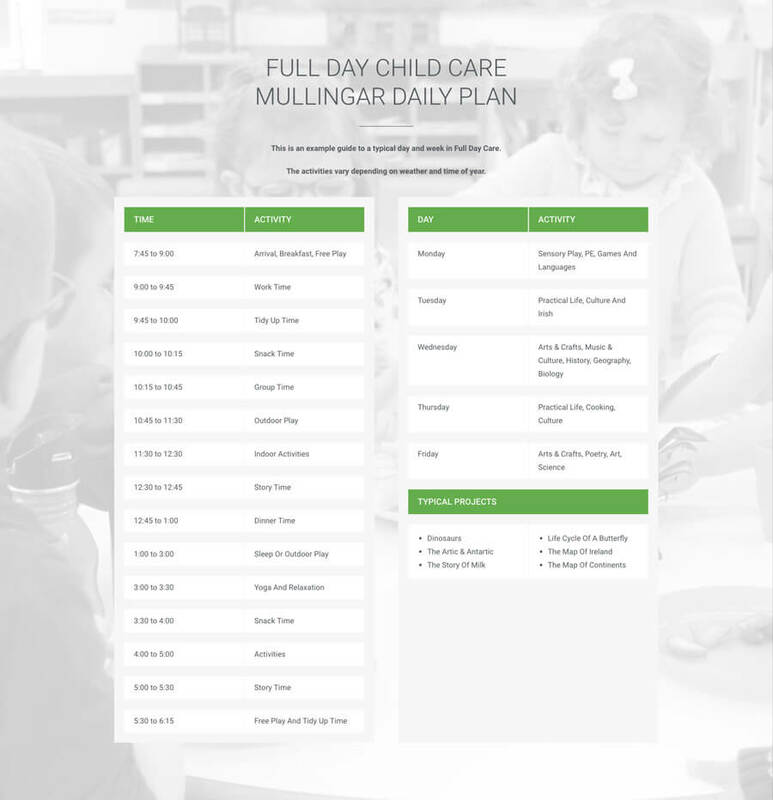 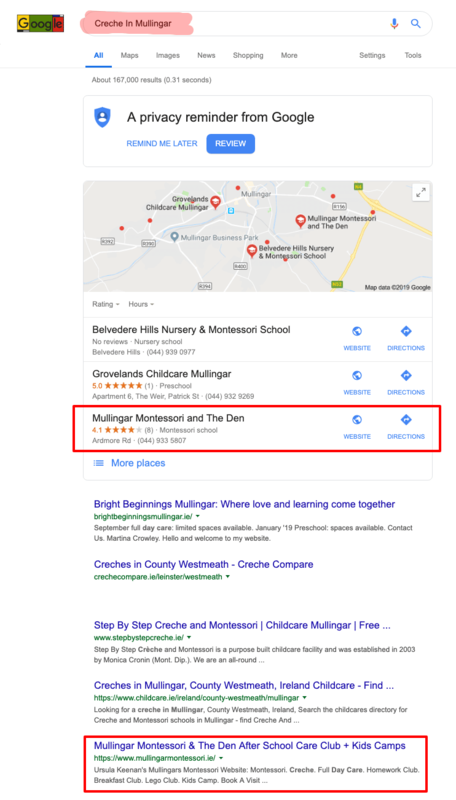 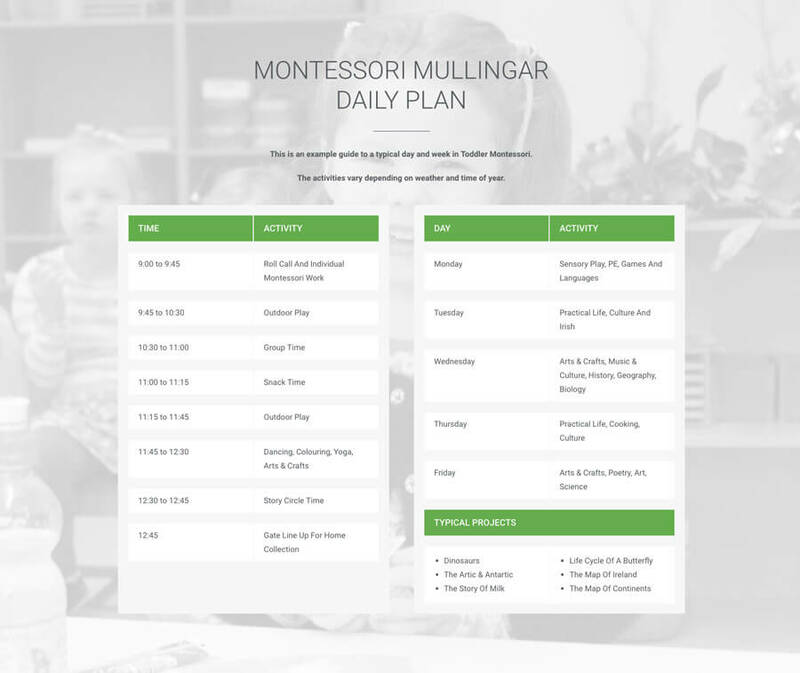 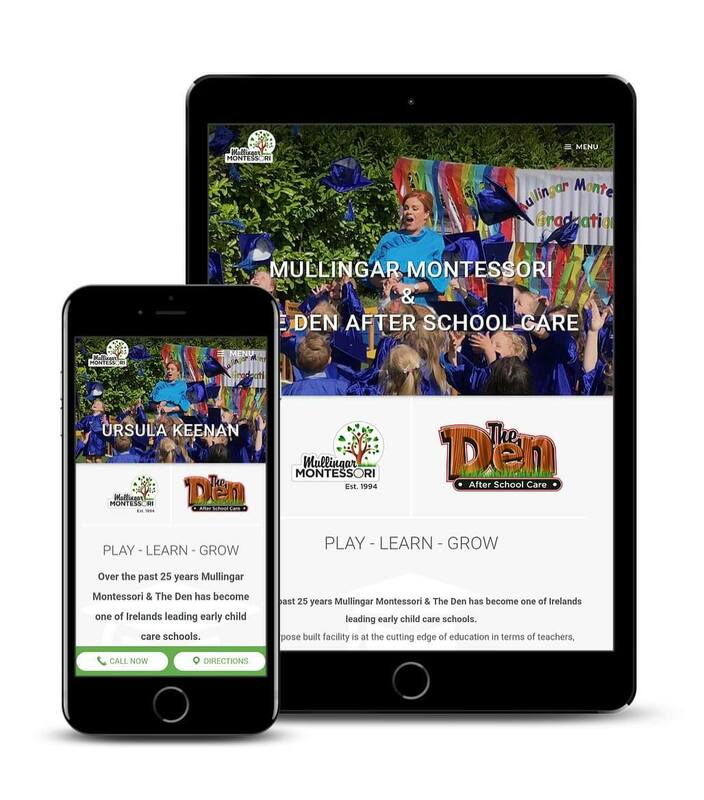 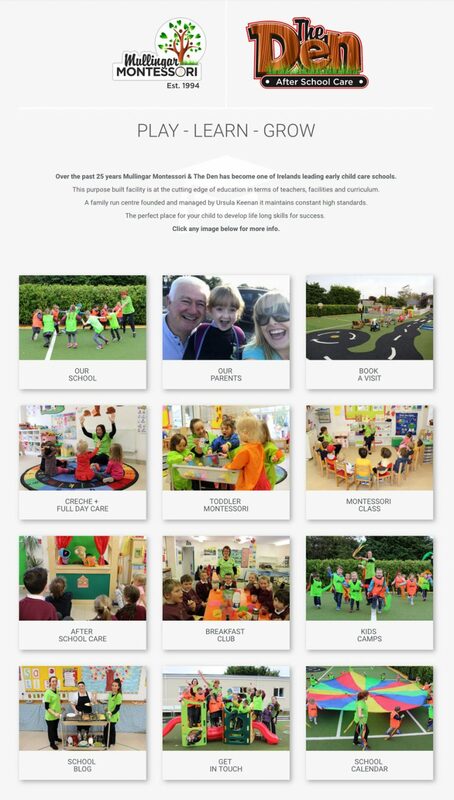 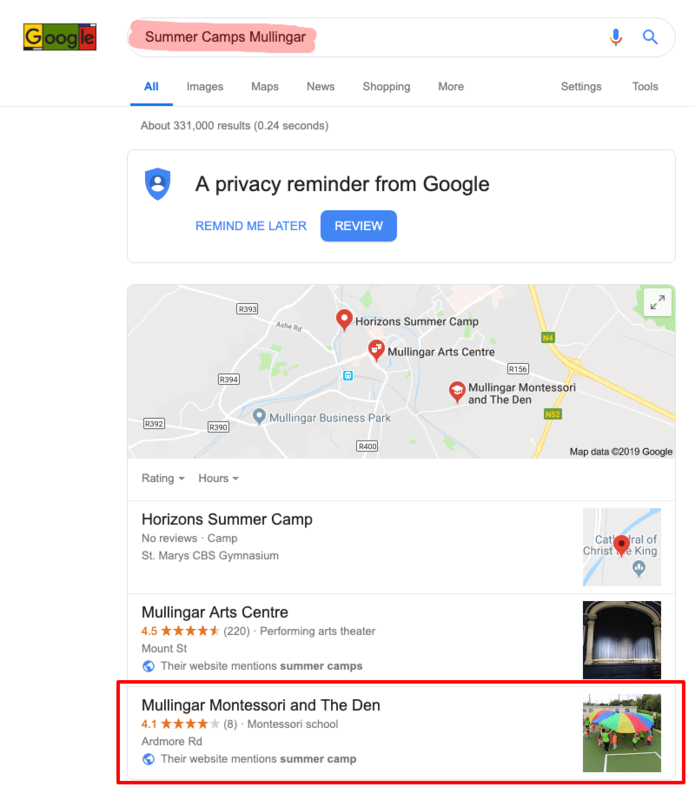 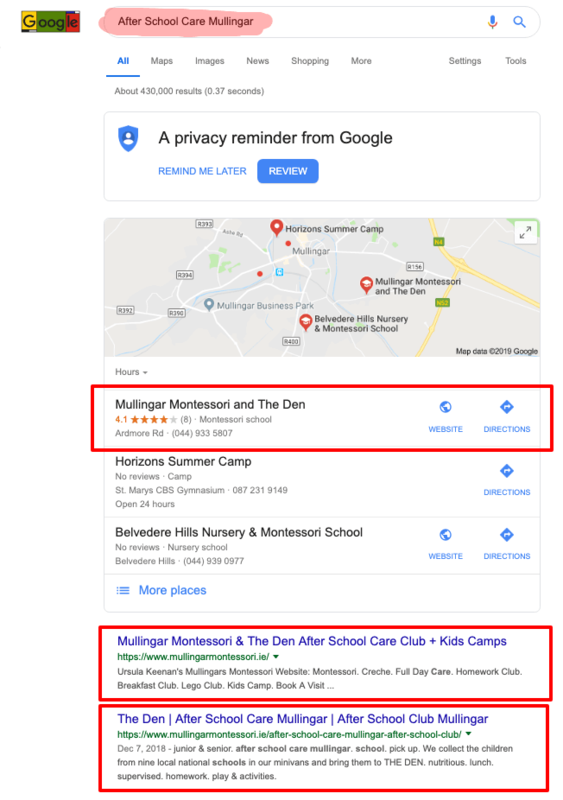 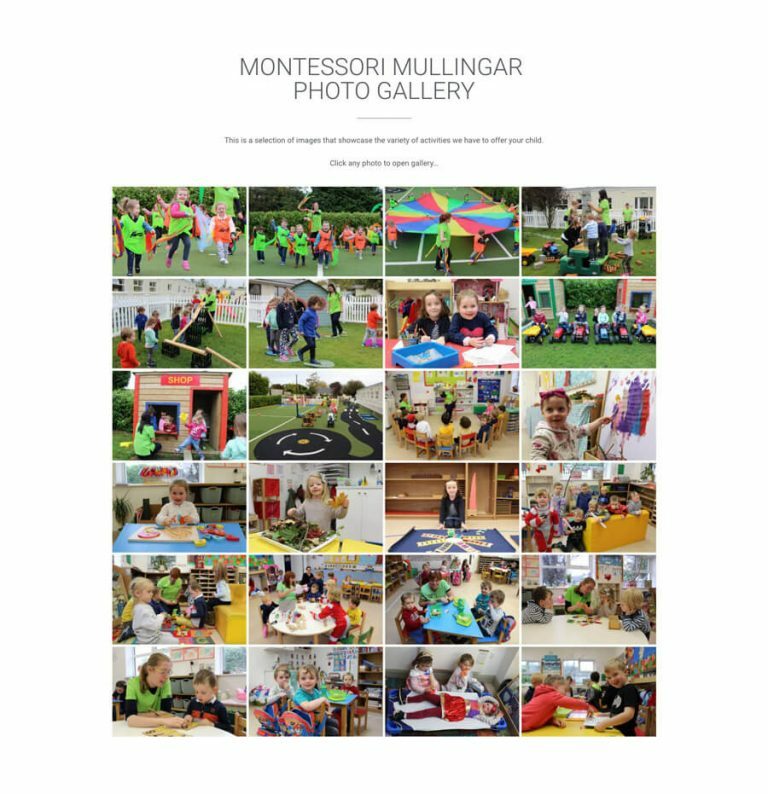 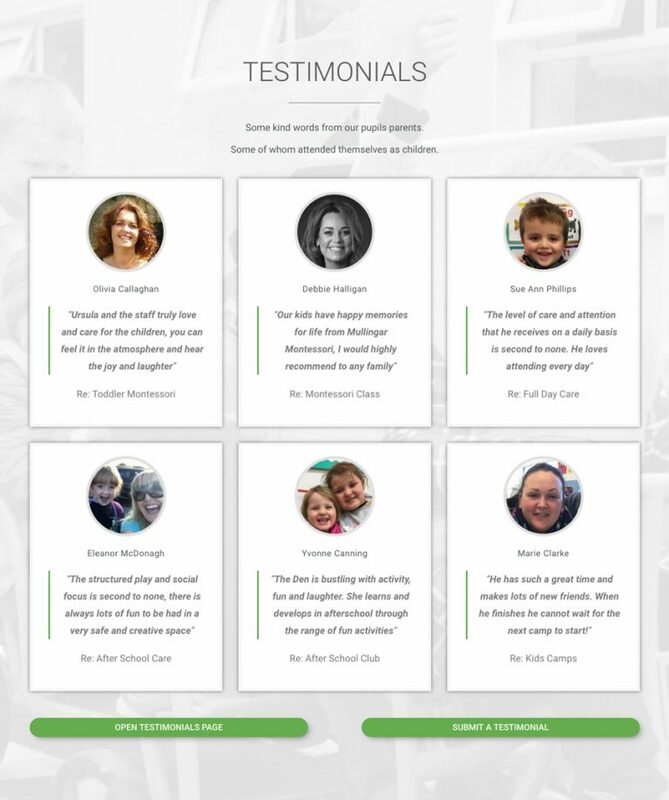 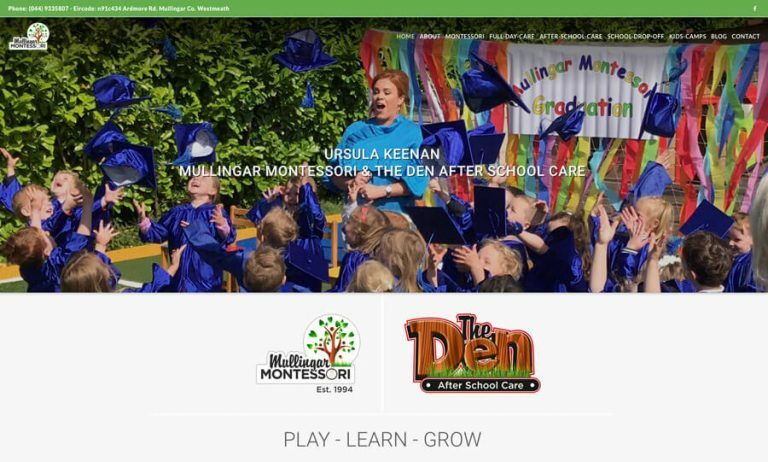 When a prospective parent types a keyword phrase like “Montessori Mullingar” into Google, Mullingar Montessori is competing with other local schools to appear at the top of the results. 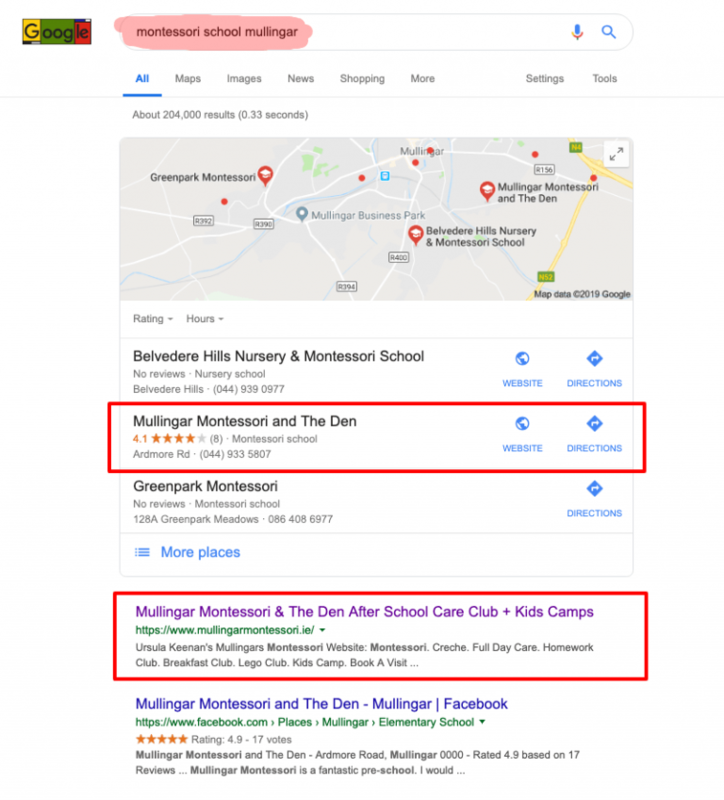 Search Engine Optimisation (known as SEO) is the name given to the work we carry out, which makes a website rank above competitors in Google for targeted keywords that potential clients use most frequently. 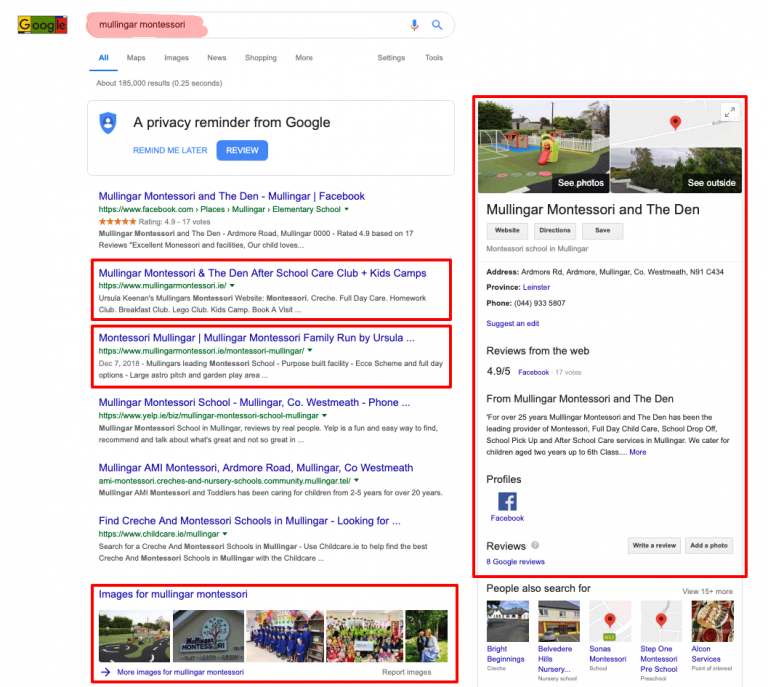 After only 4 months we have them on page one for all important keywords, top position for certain phrases and over time we will secure them top rankings for all the selected targets.